In January 2016, Haven PTS introduced a new digital pattern creating software system which means we can now create and supply electronic patterns and markers. 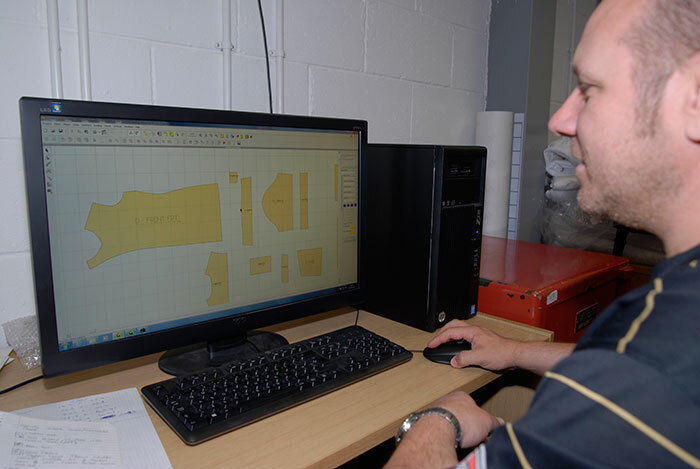 These electronic patterns and markers can then be utilised by either our own in-house CAD cutting machine or returned to customers for cutting by their own traditional hand cutting teams. The state-of-the-art technology, which combines digital photography and specialist ICT software, is expected to benefit production here at Haven PTS. The software ensures patterns and markers are made to exact customer specifications and maximizes the accuracy of the subsequent production processes.